Discussion in 'Suspension/Chassis' started by Xee Xiong, Aug 4, 2017. Where did you buy them from? A lot of online vendors' "will it fit?" have the wrong part numbers on them. 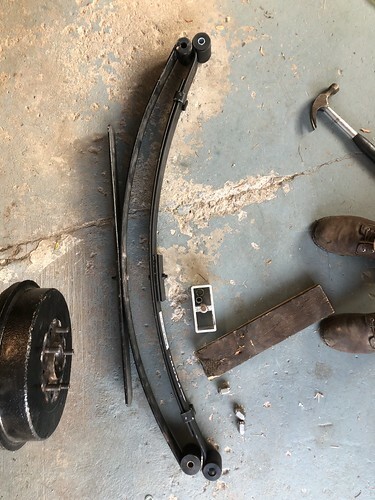 Double check your springs with Belltech fitment suggestion. Well, I know that the 5976 are shorter. They are what I have on my truck, and 5978 were the ones that I got misshipped a few times. I don't know what the difference is between the 86 and 89 mounting distances for leafs are, but maybe try the 5976s. yea, you will need the 5976s and they will fit perfectly. So does this go for all 89's?? I'm about to order belltech drop leafs and wonder what part number I should order. 5978 or 5976?? did you get this figured out? i have a 93 and it calls for 5978 leafs as well. id rather not run into this issue. do you have a measurement from hanger to hanger and the length of the stock leave vs the BT 5978 leaf length? Has anyone ever taken a measurement of the originals against the 5978 and 5976’s? To revive this old thread / the saga continues. After making the costly exchange for 5976 they came in, looked fine and have collected dust until today. I went to install and was met with a new problem. It seems the bushings are wrong. 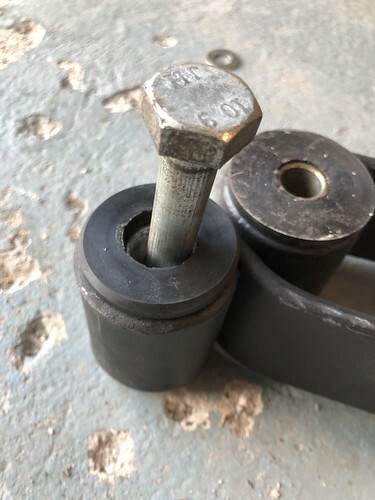 The front bushings are a larger inner diameter and the rear ones are too small for the bolt to fit through. Any ideas or perspective would be appreciated. 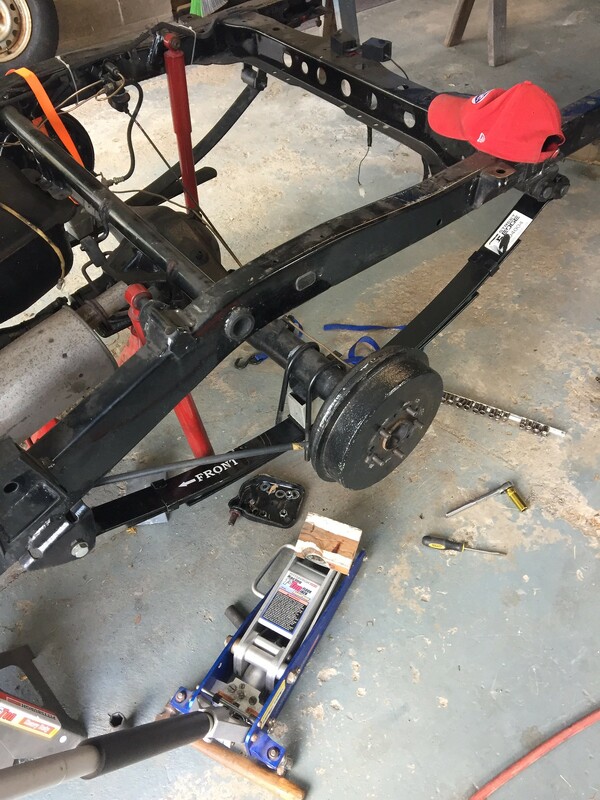 I believe my bushings were reversed when I got my leafs...just swap the bushings from front to rear and rear to front, so the spring can still be installed as marked ("Front" forward). Does that appear to be your case? Yeah that's exactly what seems to be the case. 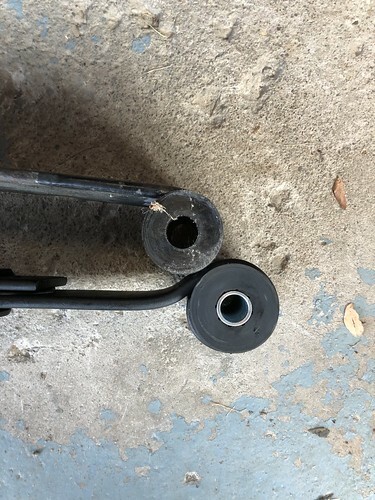 Were you able to remove the bushings without damaging them? If so how did you do it? bump. Anyone have advice for removing bushings without ruining them so I can flip flop my bushings? they're not hard to pull, at least mine weren't. 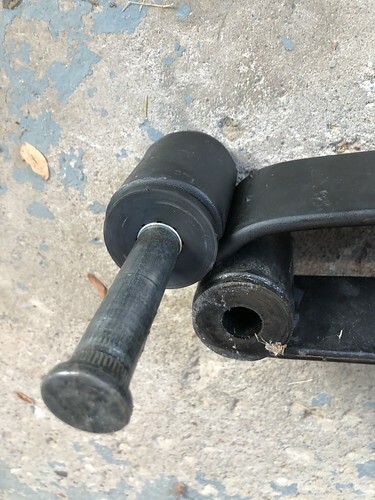 it is really two bushings, one on either side. Remove the metal sleeve from inside, then just pull from both sides.